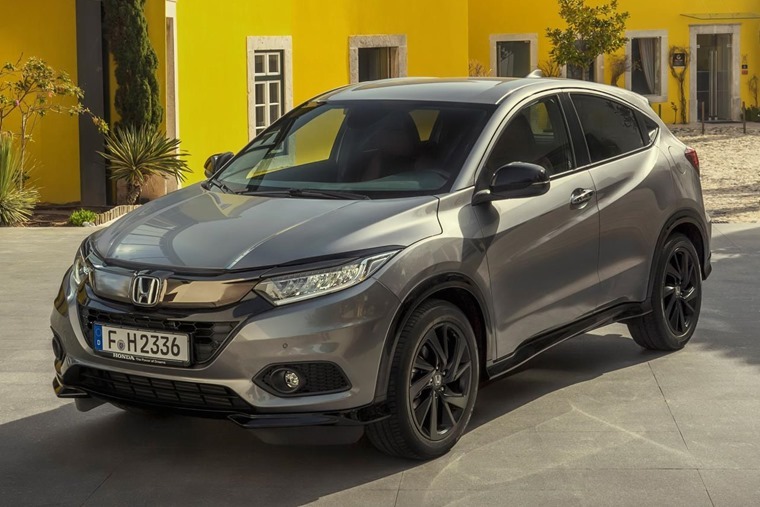 A new trim of the Honda HR-V is now available – the new Sport model introduces a host of styling enhancements, a more potent engine and mechanical adjustments. The Mazda CX-3 rival’s exterior has had a rework, with an interpretation of Honda’s latest ‘Solid Wing Face’ styling now obvious. This gives it a fresh new look that brings it in line with the rest of the brand’s line-up. Up front there’s a deeper air intake that houses circular fog lights, while the headlights now have projector lenses with a redesigned LED daytime running light signature. At the rear, a dark chrome garnish across the tailgate mirrors the new trim at the front, and the rear lights sit within darker lens casings. Depending on spec, a new 17in alloy wheel design is available, as are chrome-tipped exhaust exits. The HR-V Sport (pictured) gets 18in alloys and is available in a range of unique colours. 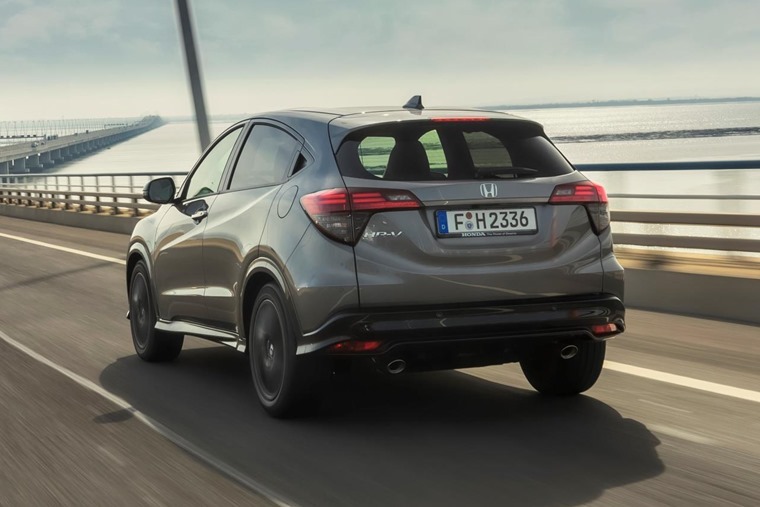 Inside, Honda has improved the seating design and introduced noise-cancellation technology for the first time to improve refinement. The HR-V remains as versatile as ever, including the carry-over of Honda’s innovative ‘Magic Seat’ system. Redesigned seats for the driver and front passenger incorporate changes to the seat cushion and back rest, providing enhanced overall support – especially for the shoulder area. Engines include a new 1.5-litre i-VTEC petrol engine that produces 128hp and 155Nm of torque. This gives it a 0-62mph time of 10.9 seconds and a combined fuel consumption figure of 53.2mpg. A 1.6-litre diesel is also available, producing 118hp and 300Nm of torque. Combined economy ranges from 54.3mpg to 56.5mpg. The Sport model features a more potent version of the 1.5-litre petrol, producing 180hp. This bring the 0-62mph time down to 7.8 seconds and ups top speed to 133mph. All engines are equipped with a six-speed manual as standard, although an optional CVT automatic is optional on petrol models. Sport trim also gets ‘Performance Damper’ technology, which helps the car corner flatter and enhances stability. The steering has also been tweaked for a more engaging feel, too. 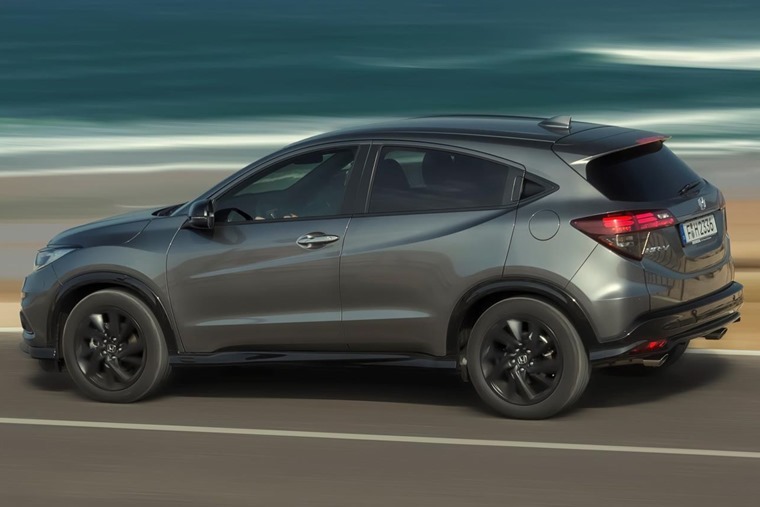 The refreshed HR-V is available to lease right now – you can find thousands of deals and compare prices here. Alternatively, check out our Honda Type R video review.